Which is better - BT IP Connect Global or BT Managed WAN? Which is better - BT IP Connect Global vs. BT Managed WAN? Did you know that IP Connect and Ethernet Connect are not your only options when procuring BT UK or Global WAN connectivity? Over the past five years, our BT Authorised Partnership have worked with the BT IP Connect Global and UK services proposition. As of writing this article, our BT Partnership currently account manages clients using the flagship layer 3 MPLS product and Ethernet Connect Global which offers layer 2 VPLS ELAN access capability. Learn about the latest WAN products via our workshop.The experience we’ve gained suggests IP Connect is actually a niche capability and only fits customers situated at the large Enterprise sector of business. We cannot fully comment on the internal BT product strategy but the recent release of the revised BT Managed WAN product suggests they too recognise the need for a new WAN capability to meet Global and UK market demands. In this respect, the majority of businesses from three sites through to several hundred are often better to begin research with the latest Managed WAN product vs. BT IP Connect. Unless, wires only unmanaged services are a requirement. (If this sounds confusing, we are happy to explain further). What is the difference between IP Connect vs. Managed WAN? First, the IP Connect UK & Global product. 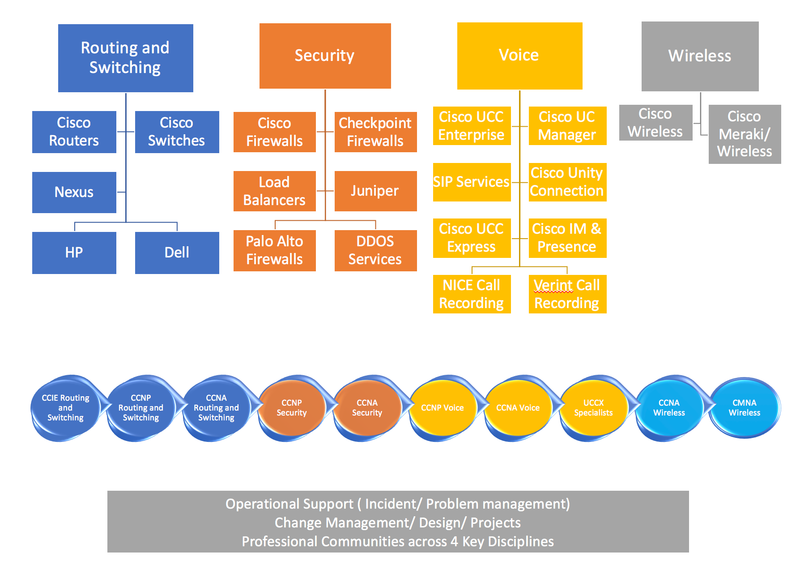 The MPLS Connect product is managed by various team members located across the globe. While the staff are connected via internal systems, time differences often create delay to the progression of circuit delivery. Due to the fairly convoluted setup of the product, dedicated resources are needed to simply work on circumventing the potential issues which occur both during installation and contract. We often hear dedicated service management is a must have with BT IP Connect simply because it is imperative for resource to consistently manage internal BT teams. An example, slow process around WAN circuit adds, moves and changes will often end up protracted as paperwork and resources take time to pull together. Aside from process, the product is not particularly great at adding other managed service elements. The MPLS statistics available from the My Account tool (latency, jitter and throughput) are very behind the times and poor to say the least. 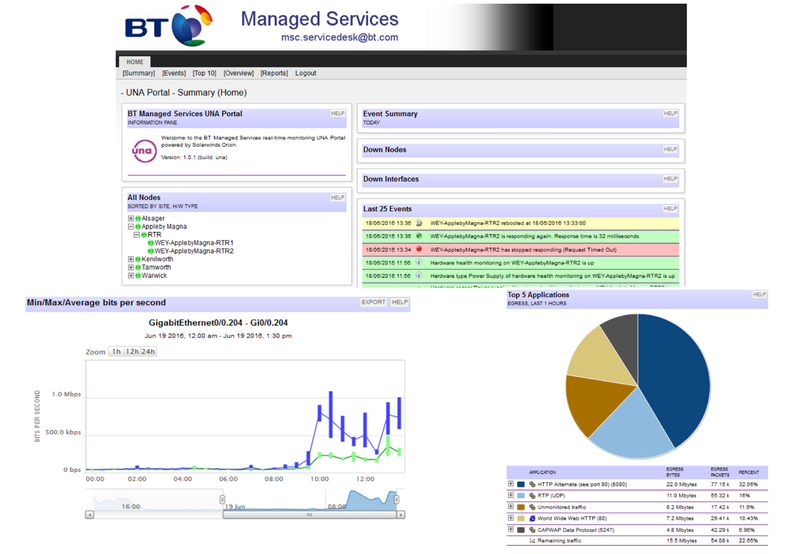 In fact, due to the restrictive nature of the Connect product, BT outsourced their managed services prior to the latest Managed WAN product release. The majority of these outsourced customers have been brought back to BT and now reside on the Managed WAN platform. Aside from process, the BT Global Services network is seriously well scaled and fundamentally offers significant capability to support applications. Gartner have recently recognised BT for Midsize European Network, Large European Network and Core City Backbone services. The general perception from customers is that once the circuits are live, they’re pretty much reliable with minimal issues. The latest BT Managed WAN offering. Perhaps the most visible changes surround how the new product is supported. The teams responsible for delivery, project, service and technical design now all reside within the same team in Belfast. By simply changing where the teams are situated, the lead time and processes have been vastly improved. This is in part due to simpler and more efficient communication between where technical detail is explained and discussed with other stake holders from provisioning. All Global and UK WAN management is now provided out of Belfast with permanent staff supporting all areas of managed services. Overall benefits include access to your support team via instant messaging applications, personal service relationship manager, improved quality and security all backed by a fully resilient NOC with ISO 22301 standard accreditation. We now have direct experience of the revised product where customer experience has been hugely improved. Clearly, the typical issues and problems which relate to telecoms remain (think tail circuit delivery) but are much more proactively dealt with during project roll out. Ethernet remains challenging to deliver within reasonable timescales but we are finding process is improving on a consistent basis. Whether or not your company selects IP Connect or the revised Managed WAN product, the network remains as a real plus point for organisations looking at supporting international connectivity. The BT stats suggest over £10B has been invested in the core and access technologies. What are the base level of resources available with Managed WAN? Technical Design Authority - A resource to align your business requirement with required configuration, e.g. application QoS (Quality of Service), high availability diversity and resilience for site access. Project Management - Based on guidelines to BS6079, BT were actually involved in progressing this new British standard. Project management principals included ISO 9001 accreditation. Network Engineering - Network design methodologies are used again to ISO9001 and ISO 27001 solution and delivery procedures. Service Desk - Single point of contact with tools available via a managed platform allowing customers to log support tickets and view statistics such as latency, jitter, bandwidth usage, throughput, packet loss and more. Service Support - The Support team is one of BT’s core centres of excellence globally with several layers of security. Any other take away points? IP Connect and the MWAN product set covers mainland Britain and Northern Ireland with Global connection capability in excess of 197 countries across the world. Access to various cloud services within back to back hosting facilities and data centre locations. The majority of prospects are looking for Ethernet data connectivity. In addition, BT offer a range of broadband services into MPLS which may be used for a low cost resilience solution or for offices which do not required leased line connectivity. 3G and 4G fast start and failover solutions are also available under the new product - for both Internet and MPLS data services. On the DSL front, ADSL2 and FTTC (Fibre to the Cabinet) are available dependent on the BT exchange your offices are connected to across your estate. The BT EFM (Ethernet First Mile) product is also available as an additional connectivity type across the UK. How much does BT IP Connect Global cost vs. Managed WAN? As ever, costs depend on location, bandwidth and service levels. Pricing starts at around £100 per month for Broadband access up to over £1000 for Ethernet. Get in touch and learn more about how our BT Authorised Partnership is able to help align your requirements to the right BT WAN product. Today we are a leading BT Authorised Premier Partner. We offer indispensable insights, advice and tools you need to achieve your WAN, Cloud and Security goals. What IT Managers resources are available? The Network Union have helped companies with 3 sites to well over 250 procure BT WAN services including Medivet, Russell Finex, Permira, CDC and more. We are recognised WAN experts and write for techtarget.com as WAN procurement experts. Techtarget is the largest IT decision making site in the world. What free resources are available? The BT WAN Workshop - hosted by techtarget.com writer Robert Sturt, our free 2 hour session at your office (or a BT venue) where we walk your team through the latest products and technologies. Rated as Excellent. Set your budgets - If you are looking for pricing, we’ll help you set budgets. Complete end to end pre-sales, design and pricing - our sales process is, as you would expect, free and without commitment. How we work with BT? We operate under strict guidelines and contractual agreements with BT Business as an Authorised Partner. All contracts, pricing and support remain with BT as per any direct business. Network Union has been recognised by BT on numerous occasions with awards including Partner of the Year. IP Connect, Ethernet Connect vs BT Managed WAN? We recommend IP Connect and Ethernet Connect to customers requiring very simplistic WAN connectivity. Where requirements are more complex, BT Managed WAN is the default product. BT MWAN offers a full portfolio of Cloud and Security products. IP Connect and Ethernet Connect are used for wires only unmanaged services. The latest 2017 BT Managed WAN. Perhaps the most visible changes surround how the new product is supported. The teams responsible for delivery, project, service and technical design now all reside within the same team in Belfast. By simply changing where the teams are situated, the lead time and processes have been vastly improved. This is in part due to simpler and more efficient communication between where technical detail is explained and discussed with other stake holders from provisioning.